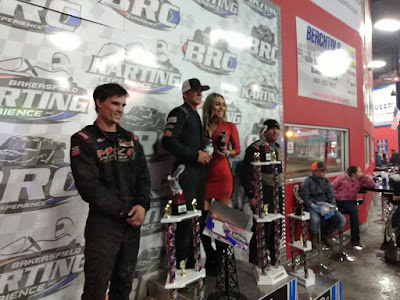 MADERA, CALIFORNIA (January 25, 2018) – The graduates of the Madera Speedway 51FIFTY Energy Drink Jr. Late Model Series are quickly making their impact on the racing world, with several exciting announcements in the last couple of weeks. The Jr. Late Model Series was the first in the world for drivers ages 10-16 in full-sized stock cars when it debuted in March 2016, and the MAVTV-televised series is gearing up for a third season in 2018. 2017 division champion Jesse Love IV of Menlo Park, CA – age 13 - is set to become the youngest competitor in the BCRA full Midgets when he joins the series this spring. Love will race on both dirt and asphalt while also defending his Jr. Late Model championship as well. 2017 fourth in points Hailie Deegan will compete full-time in the NASCAR K&N Pro Series, West, while 2016 Jr. Late Model standout Ryan Vargas of La Mirada, CA will compete for Drive for Diversity in the NASCAR K&N Pro Series, East. Several drivers from the series are slated to compete in Super Late Models in either the Pacific Challenge Series or SPEARS SRL Southwest Tour including 2017 series runner-up Kolby Berry who will race in the prestigious Winter Showdown. Both the PCS and SRL will race at Madera twice giving fans many opportunities to see these drivers in action. What makes the Jr. Late Model division unique is that it shares the same equipment as the RPM Mortgage Pro Late Model Series. One driver has advanced through every step of the Madera ladder – Hollister’s Adam Lemke. Lemke was a standout in Mini Cups in 2016 before advancing to both Jr. Late Models and USAC HPD Midgets in 2017. For 2018, he will compete for the RPM Mortgage Pro Late Model championship. The 2018 season of MAVTV-televised action at Madera is fast approaching with 9 nights of RPM and 51FIFTY-backed competition plus four Super Late Model events and several open wheel events that will showcase the best young talent in the nation. The $5,000 to win RPM Mortgage Pro Late Model Series opens the season on March 10th! October 20th - 11th Annual Pumpkin Smash Halloween Bash and Blow Up and Monster Trucks!, Madera Hobby Stocks, MST's, Toyota Sedans, $2,000 to Win 200 lap Enduro, the Extreme Barrel Racing Series, a Trick or Treat thru the Pits and on Track PUMPKIN SMASH for the KIDS! Bakersfield, CA – The SPEARS (SRL) Southwest Tour Series is excited to announce the completion of its 2018 schedule of events. The ten-race schedule will kick off in a big way, with the $30,000 to win “Winter Showdown” at Kern County Raceway on February 3rd. The “Winter Showdown” is a non-points event for the series and will also feature Late Models and Super Stocks. The 2018 SPEARS Southwest Tour Series point’s championship will begin on March 24th at Madera Speedway and finish with the $10,000 to win “Retro Custom Metals Championship Finale” at The Bullring at Las Vegas Motor Speedway on November 17th. 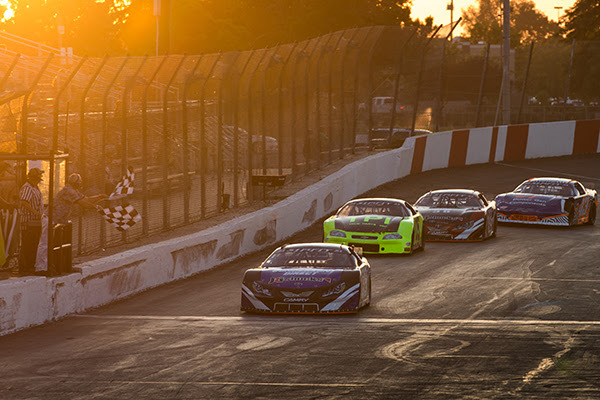 A tentative schedule was announced in December, but with Irwindale Speedway continuing to operate in 2018, the series will now head to Irwindale twice this season. The Southern California half mile has been a staple on the SPEARS Southwest Tour Series schedule for many years, and will now host the series on June 9th and July 14th. Celebrating its eighteenth season, the SPEARS Southwest Tour Series will begin the 2018 season with the Winter Showdown on February 2nd and 3rd and close out its championship on November 17th at the Bullring at Las Vegas Motor Speedway. The 2018 SPEARS Southwest Tour Series rules will be finalized and released following the Winter Showdown. For more information, go to www.srlsouthwesttour.com. BAKERSFIELD, CALIFORNIA (January 20, 2018) – Tate Sanders wrapped up his inaugural weekend in Outlaw Karts in a big way, scoring the $1000 Bakersfield Indoor Kart Nationals win on Saturday night at Bakersfield Karting Experience. Sanders finished second in Friday’s night preliminary main, then climbed from the B Feature on Saturday to top the 24 car field on hand. Brandon Williams of Redding, CA led the 12 kart field to green for the 30 lap feature and led early. The race was punctuated early by a wreck on the backstretch where Chowchilla’s Eric Humphries hit the wall head-on, after being hooked by Bruce Nelson. Humphries, who won his B Main after finishing second in Friday’s feature, was done for the evening. Colton Raudman and Josiah Ribeiro tangled for third on a later restart, but Raudman was able to continue on from the back of the field. Sanders marched forward and took over second past halfway before turning attention to Williams. Williams and Sanders ran in lockstep for several laps in a very close battle before the major turning point of the race. Marc Foglio spun on the backstretch and lost a wheel. Williams clipped the wheel and went upside down in turn three for a red flag. Sanders assumed the lead while Sutter’s Tyler Seavey and Bryan Watson dueled for third. Their battle ended with Watson going over the top of Seavey in a multi-car crash in turn one that ended both of their nights. Sanders faced new company from Ribeiro with the duo trading slidejobs before Sanders managed to pull away. The checkered flag, $1000, and the driller trophy went to Tate Sanders with Ribeiro second and Williams charging back to finish third. Raudman and Roger Guthrie rounded out the top-five. Kenzie Brown of Chowchilla came back from her second place finish in Friday’s Beginner Box Stock race to win Saturday’s Box Stock 20 lap feature. Brown led all 20 laps with Bakersfield’s Jett Yantis’ debut in the division bearing fruit as well. Yantis made a nice last lap, last turn pass on Carson City, NV’s Jaden Allec for second. The Clone Kart 25 lap main event had several cautions early before things settled down and Fresno’s Mitch Cornelius stepped out front and never looked back. Cornelius held off a late charge from Timothy Crews for the $200 win with Chowchilla’s Christian Hickman rounding out the top-three. Activity continues at BKE on January 24th with the first League Night of 2018. More details coming soon! The top-ten drivers of the night will duel in a 10 lap, $100 to win feature on each league night.